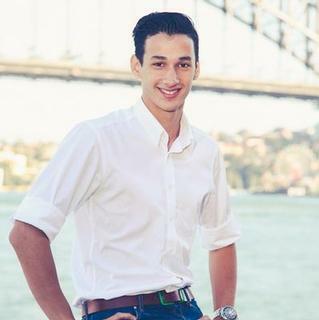 This is Salvatore’s second year with TEDxYouth@Sydney having joined the team in 2015. Salvatore is an 18-year-old year 12 student, a keen rower for Mosman Rowing Club and has just competed at the Australian Rowing Championships. He was recently the Schoolboy Head of the River silver medalist in the 1st single. In 2014, he was involved in TEDxUbud, handling participant experience and communications. Prior to that, in 2013, Salvatore was working for APEC, as an advisor’s assistant, at their leaders meeting, In 2011, he started volunteering for the Sumatran Orangutan Society and has since become a junior ambassador. He is also an ambassador for ChilOut, an advocacy group for the permanent removal of children from immigration detention. Later on, he hopes to be an Australian rower, diplomat, and social entrepreneur, and is interested in studying security studies/ law after high school. Salvatore believes that TED is a place where ideas transition mindsets to a progressive and sustainable future.